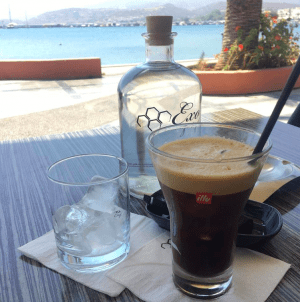 We’ve paired up with our friends from the Porto Kaza hotel in Sitia to bring you our top six favourite things to do in Crete. 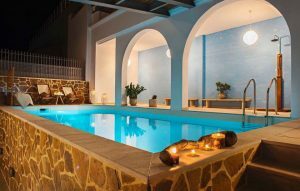 Porto Kaza Resort Hotel is located on the eastern tip of the Greek island of Crete. With its boutique style and glorious views it’s our most favourite place to stay as a family. Their newly established cozy apartments welcome guests to a world of elegance, comfort and blissful harmony. However, for us it’s more than aesthetics; it’s the home from home experience we get every time we stay. 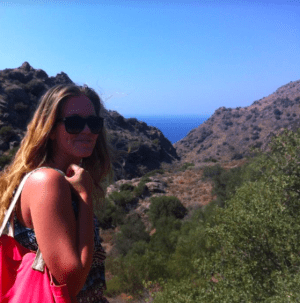 You don’t need to have a hefty budget or superfluous funds to have fun in Crete. Our first favourite activity is simply wondering the cobbled streets and winding alley-ways of Sitia. Food, glorious food! With it’s fresh flavours and vibrant colours Mediterranean food is famed the world around. And where better to try authentic Med cuisine than in its birth place, Crete. From the distinguished and traditional local cheeses to its famous olive oil and punchy liqueurs you will feel spoilt for choice. If like us you’re a seafood lover and enjoy eating fresh then you have to head over to Mochlos Village (one of the best places for fresh fish) to try the catch of the day. If you’re not sure what to order with your Greek Fish ‘n’ Chips we recommend that you step away from the usual ‘Greek Salad’ and try a Cretan salad. Topped with local delicacy; xigalo, a beautifully rich and creamy cheese. You can’t go Greek without a daily boost of caffeine. So, if it’s great coffee you favour then grab a table at Exo lounge. With it’s great views and a perfectly balanced mix of urban chic, smoothly blended with a splash of traditional, local seaside charm. You’ll want to stay ‘exo’ all day and night long. A great way to cool off on those scorching, Grecian summer days is by venturing into the lush valley gorge of Richtis. Take a trek down and explore the ancient forests on your descent, finishing up with a dip in its crystal clear waterfalls. The cool, crisp water is good enough to drink and fresh from the local mountain peaks. For us the best part of going to the Gorge is that it is not as well known as say the Samia Gorge on the West side of the island. Meaning that you can quite literally have the entire place to yourself! Keep an eye out for the old stone mill ruins, hidden amongst the undergrowth. Top tip: Take two cars and leave one at the bottom (although the walk is at least a couple hours long, the drive is less than five minutes) start from the top and walk your way down. It’s a lot easier going this way and means you get to cool off in the natural pool towards the end of your hike. Visit the eery ruins of Kazarma (the fortress) by night. Although, a great birds-nest view point for taking photos during the day, it is well worth returning at night to see the fortress lit up in all its glory and looking out across the port and towards all the lights of the surrounding local villages and towns. Porto Kaza suggests checking to see if any of the local drama groups are performing. With its awesome acoustics and beautiful setting the Fort is also often host to multiple theatrical productions. Vai Europes largest palm beach. Lots of fun to be had by big kids who like water sports. 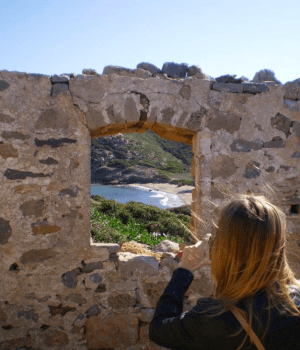 Xerokampos famed for its coastal walks and its cathedral like caves. Don’t leave without having a natural mud bath spa, by using the the purified clay that is deposited on many of its dunes. Erimoypoli perfect if you’re looking for somewhere more secluded, with endless pictorial scenery, spot on for those Instagram worthy snaps . Participate in one of the many Cretan festivals. From Karnivali (Carnival) to the Kalampoki (Sweetcorn) festival, Greeks love any excuse to celebrate. So, make sure to check before you go on your jols to see what local and/or national festivals or holidays there might be for you to experience during your stay. We’re sure no matter what you do, you won’t be able to stop yourself from falling in love with this big ole Grecian island. that’s ok though, Porto Kaza’s doors are always open for your next stay. Why wait? They’re ready when you are! Definitely do! I’m biased but it’s definitely under-rated and under-explored! I’m so glad you liked it, you definitely need to go back! I can’t wait to check out your pin boards! I’ve never visited Grecce believe it or not but I will be going for my first time on a Cruise soon. The itinerary takes in Heraklion, unfortunately it will only be for a day so I’ll be unable to try many of these recommendations. However if we like it we may return. With four days though, you could definitely to Knossos (the labrynth), Spinalong (Ayios Nikolaos) – ‘The Island’ by Victoria Hislop, Bali beach and Nikos Kazantzakis tomb!… enjoy or as they say in Greek Kalo Taxidi (Bon Voyage/good trip)!